Disney World (also known as the Walt Disney World Resort) is the largest entertainment and travelling spot in the world. While generally known to be a family fun destination, there's actually something for everybody. Disney World is found in Central Sunshine State Florida, A few miles southwest of Orlando, Florida. Whatever you want in Walt Disney World and Central Florida, you will be certain to find fun and excitement wherever you go. And what better way to get pleasure from it than to feel right at home in a Disney vacation rental home accommodation that you have rented directly from Advantage Vacation Homes. We offer a variety of the Disney Vacations Rentals, town homes, condos and pool homes near Disney World which cover all budgets for families and teams. All of our Disney Vacation homes are just minutes away from Walt Disney World® Resort and other exciting Orlando attractions, golf courses, restaurants and shopping outlets. 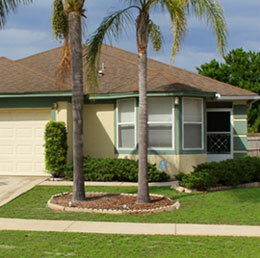 All our Orlando Vacation Homes are professionally managed, and privately owned. Our rentals are a reasonable and convenient alternative to a hotel. All our Disney vacation homes come with totally functional kitchens complete with large appliances and all the cooking utensils you will need to prepare a full breakfast, lunch, dinner or a light snack. Keeping your family on a dining schedule permits for the familiarity and luxury comfort of that all-important routine your kids have grown up to.